Despite being born with a heart condition, Leanne Joyce was a nationally ranked jump roper, a competitive swimmer and a gymnast. However, five years ago, Leanne received the unfortunate news that she had to stop participating in sports due to having Aortic Valve Stenosis — a heart condition that narrows the aortic valve and prevents proper blood flow. It was a devastating blow for her, but she turned her disappointment into a positive outcome for herself and others by creating a non-profit, Positive Impact for Kids, that makes the hospital experience better for pediatric patients. Positive Impact for Kids has now donated coloring books, movies, iTunes gift cards, iPads, and even nail polish to young patients in 83 hospitals across the country! Read on to learn more about this awesome teen’s efforts and how she managed to look past her own situation to help other kids have a more pleasant stay in the hospital. Leanne got the idea for her organization after remembering her own stressful time at the hospital awaiting test results. During her wait, she was the recipient of a gift that helped her relax a bit, and she decided to give back to others in a similar way. Leanne has raised funds through private donations as well as through a 5K, silent auctions, and school events, all with the goal of helping kids de-stress and have a normalized childhood experience. Positive Impact for Kids has teamed up with hospitals in every state to use the money raised towards purchasing items on the hospital’s wish list. Devices such as tablets and portable DVD players are used for educational purposes such as learning about a child’s upcoming procedure, but they also serve as an important way to encourage healing by allowing kids to relax and decrease their anxiety and to focus on something other than their pain and discomfort. Positive Impact for Kids has also had a beneficial impact on Leanne herself, who was initially forlorn when she found out that she would no longer be able to participate in some of her favorite pastimes. Running the non-profit has empowered her to help others and to fill her time and energy with a worthwhile and ongoing cause. Leanne and Positive Impact for Kids will likely have raised more than $100,000 by the time Leanne graduates from high school in 2018, and we imagine this energetic and inspirational teen will continue using her optimistic, can-do attitude for Positive Impact for Kids and in whatever field she pursues in the future. Despite being born with a heart condition, Leanne Joyce was a nationally ranked jump roper, a competitive swimmer and a gymnast. However, five years ago, Leanne received the unfortunate news that she had to stop participating in sports due to having Aortic Valve Stenosis -- a heart condition that narrows the aortic valve and prevents proper blood flow. It was a devastating blow for her, but she turned her disappointment into a positive outcome for herself and others by creating a non-profit,�Positive Impact for Kids, that makes the hospital experience better for pediatric patients. 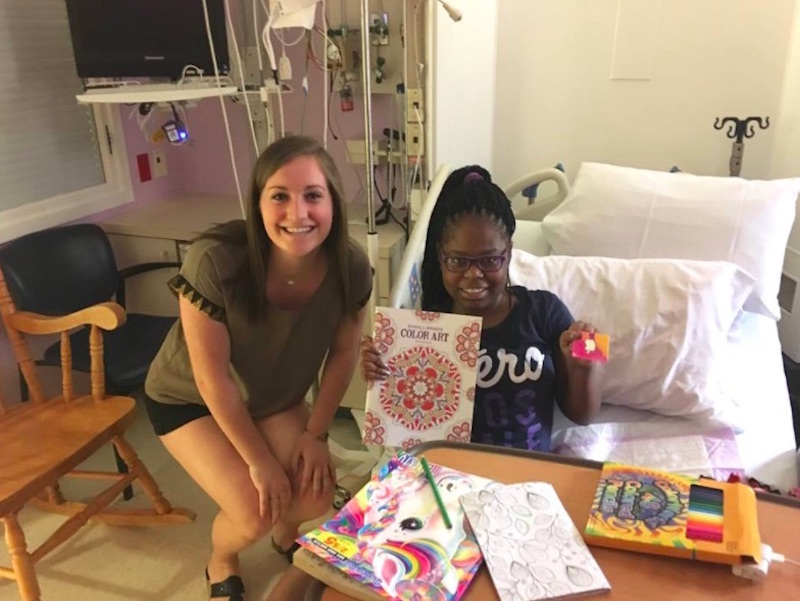 Positive Impact for Kids has now donated coloring books, movies, iTunes gift cards, iPads, and even nail polish to young patients in 83 hospitals across the country! Read on to learn more about this awesome teen's efforts and how she managed to look past her own situation to help other kids have a more pleasant stay in the hospital.